Start off your visit on the 27th (Thu): look for all kinds of wild species at Los Jardines de Mandor and then delve into the distant past at Santuario Historico de Machu Picchu. On your second day here, take in the awesome beauty at Phutuq K'usi and then take in the natural beauty of Banos Termales de Cocalmayo. For other places to visit, ratings, reviews, and more tourist information, use the Machu Picchu trip builder app . Oklahoma City, USA to Machu Picchu is an approximately 23.5-hour flight. Traveling from Oklahoma City to Machu Picchu, you'll lose 1 hour due to the time zone difference. Wrap up your sightseeing on the 28th (Fri) to allow time to travel to Maras. Maras is a town in the Sacred Valley of the Incas, 40 kilometers north of Cuzco, in the Cuzco Region of Peru. 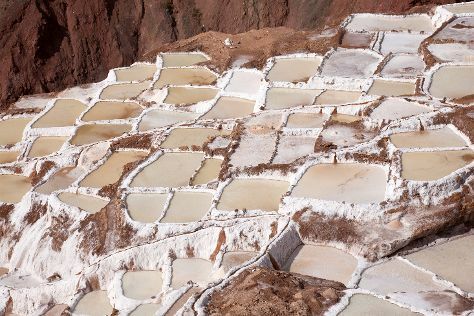 On the 29th (Sat), look for gifts at Ceramicas Seminario, then ride a horse along Hacienda del Chalan, then stop by Inlakesh Peruvian Art & Design Store, and finally explore the striking landscape at Salinas de Maras. To see traveler tips, other places to visit, ratings, and tourist information, read our Maras trip itinerary builder tool . Traveling by combination of train and taxi from Machu Picchu to Maras takes 2 hours. Alternatively, you can drive. Expect a daytime high around 69°F in December, and nighttime lows around 46°F. Finish your sightseeing early on the 29th (Sat) to allow enough time to travel to Arequipa. 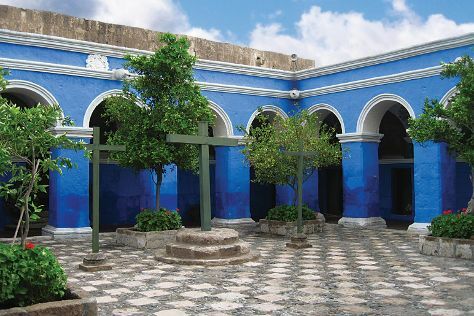 Kick off your visit on the 30th (Sun): admire the striking features of Plaza de Armas, get engrossed in the history at Museo Santuarios Andinos, steep yourself in history at Historic Centre of Arequipa, then examine the collection at Monasterio de Santa Catalina, and finally admire the landmark architecture of Casa del Moral. To find ratings, other places to visit, more things to do, and other tourist information, go to the Arequipa online trip itinerary planner . You can do a combination of taxi and flight from Maras to Arequipa in 2 hours. Alternatively, you can drive; or do a combination of taxi and bus. In December, daily temperatures in Arequipa can reach 69°F, while at night they dip to 51°F. Finish your sightseeing early on the 30th (Sun) so you can drive to Puno. Start off your visit on the 31st (Mon): head off the coast to Taquile Island, then make a trip to Catedral de Puno, and then contemplate the long history of La Casa del Corregidor. On the 1st (Tue), you'll have a packed day of sightseeing: pause for some serene contemplation at Iglesia de San Juan Bautista, explore the activities along Lake Titicaca, and then head off the coast to Uros Floating Islands. To find ratings, more things to do, and other tourist information, refer to the Puno tour planner. Traveling by car from Arequipa to Puno takes 4.5 hours. Alternatively, you can take a bus. Expect a bit cooler evenings in Puno when traveling from Arequipa in December, with lows around 38°F. Finish your sightseeing early on the 1st (Tue) to allow enough time to travel back home.